A veritable blizzard of Lepidoptera over a patch of ground-loving Buddleja last week. Lots of skippers skipping. This is a male Sachem (Atalopedes campestris), I think. Several sulphurs ever so briefly alighting. 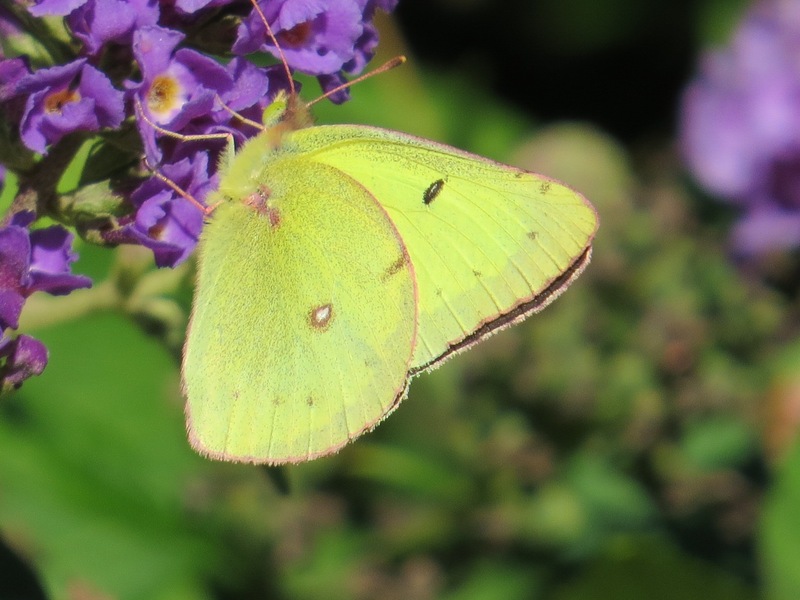 This is purported to be a Clouded Sulphur (Colias philodice)… probably: Orange and Clouded can mix it up genetically, so these are hard to differentiate; perhaps the species definition should incorporate them both? One of them had an intense orange to its inner wings. 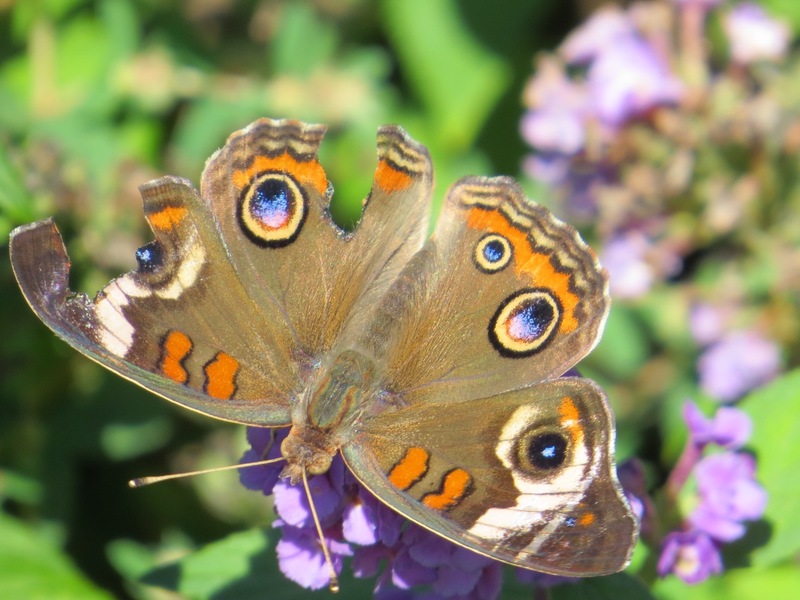 A common Buckeye (Junonia coenia) showing a lot of late season wear and tear. A bird attack? And a lone moth, Helicoverpa zea, the Corn Earworm, obviously named for its caterpillar form. 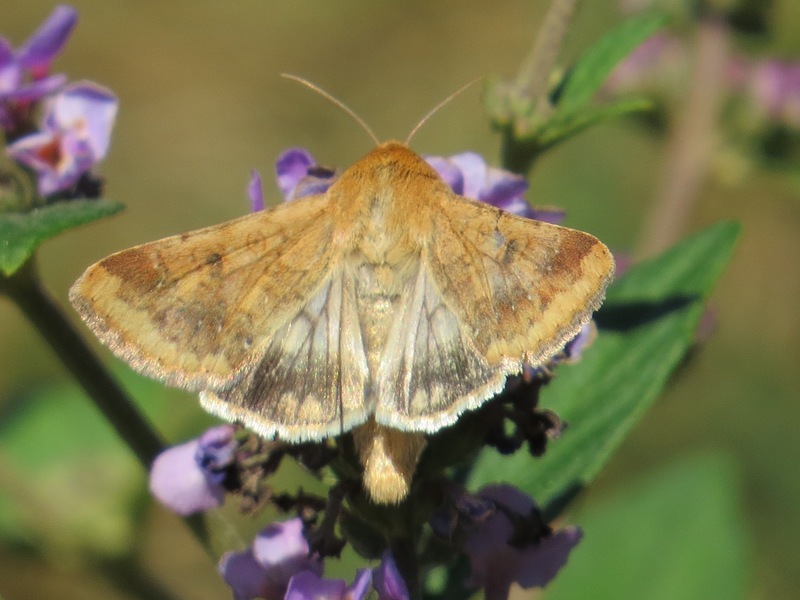 Most moths are active at night, which is why this blog is so notably absent in them; also, they’re hard to identify, not least because they are so many of them: there 11,000 species currently recognized in North America. Bugguide.net helped me with this ID. 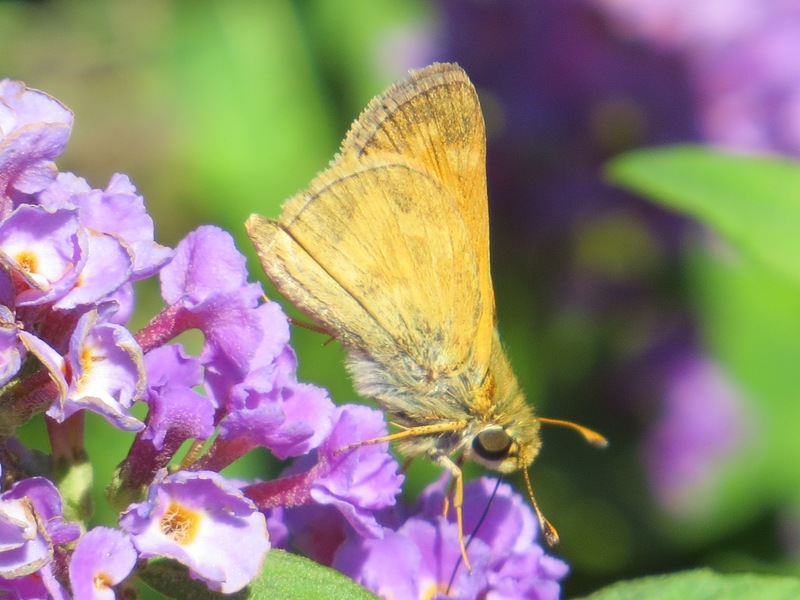 Curiously, this individual was chased by groups of several skippers, as if they really did not want the competition.